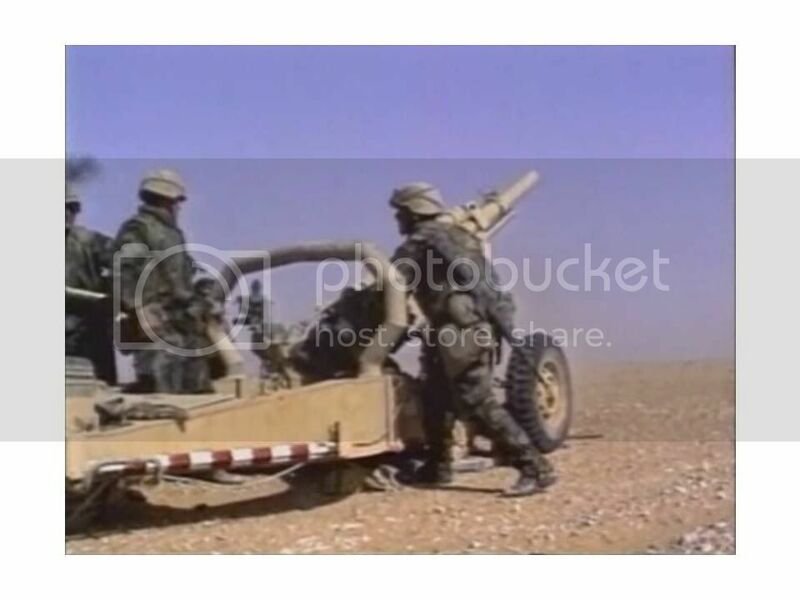 Hey guys, I'm building the AFV Club 105mm howitzer and I THINK iread somewhere that these were painted desert sand for OIF...? Can anyone confirm this info...? It seems like a nice kit, rather small and fiddly bits though. The tri-color scheme for me would be finicky, considering there is a local IPMS contest this Wed. coming up..Sept. 7th...!! Ya, I know, left ot waaaaaay too late, but thought it was a small parts count and simple scheme. "To err is human...to airbrush is devine..!" Maybe this would help (from Wikipedia) ? Frenchy....once again you amaze me. I was sure the M102 was totally out of the system but it would appear on Arkansas National Guard unit still had them in 2004.. These had to be hand me downs from the 10th Mountain as they do not have the roll cage that the 101 & 82 had on theirs. The camo is the 3 color NATO on these. I found this image in a small movie.